It reported a record net profit of Rs 36,075 crore for the 2017-18 fiscal, up 20.6 per cent. 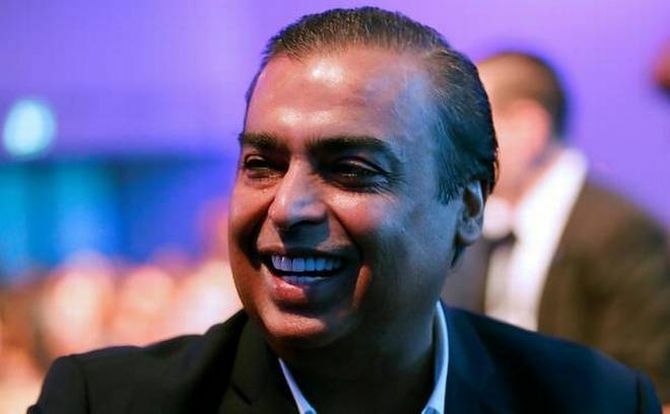 Reliance Industries on Friday reported a 17.3 per cent jump in its fourth quarter net profit on the back of robust petrochemical margins and upstart telecom arm Jio's maiden profits. Its net profit of Rs 9,435 crore, or Rs 15.9 per share, in January-March was 17.3 per cent higher than Rs 8,046 crore, or Rs 13.6 a share, posted in the same period a year ago. On a sequential basis, the company's net profit rise was only 0.1 per cent, RIL said in a statement. The company, however, reported a record net profit of Rs 36,075 crore for the 2017-18 fiscal, up 20.6 per cent. The firm's telecom arm, Jio, reported a net profit of Rs 510 crore (on a quarterly basis) in the fourth quarter on a revenue of Rs 7,128 crore.